The aim of this section of the survey was to determine which writing strategies are most important when trying to get one’s research published in a specific journal. 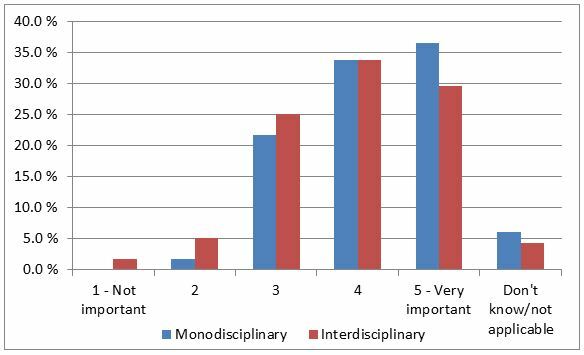 An additional aim was to find out whether the same strategies are equally important when publishing in interdisciplinary and monodisciplinary journals. We asked our respondents to rank the importance of the following strategies: (1) Referring to a shared body of literature, (2)Drawing on a broad range of literature, (3) Conforming to a particular style of writing, (4) Conforming to a particular way of organising the paper, (5) Explaining the methodology in detail, and (6) Providing a detailed interpretation of the results. Citing the same literature as the papers already published by the journals appears to be an important strategy for both types of journals, but more so for monodisciplinary journals. Writing in an interdisciplinary journal will more likely result in drawing on a broad range of literature (see the following graph). 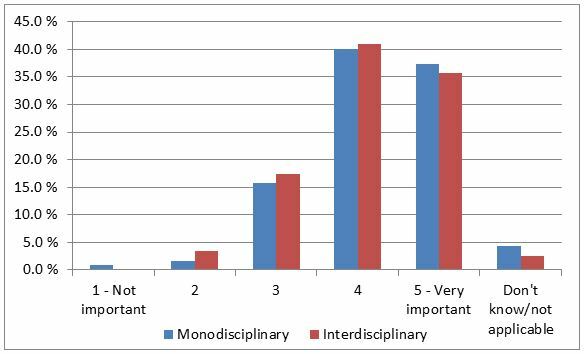 However, it is important for interdisciplinary researchers (more than 50% respondents) to have a shared body of literature they can refer to. This implies that most of interdisciplinary research is made in established fields that share a common ground. Drawing on a broad range of literature seems to be a strategy strongly associated with publishing in interdisciplinary journals. However, the aim of this project is to investigate whether such strategies are used to bring new perspectives to the journal or to relate to the journal’s or wider audiences. 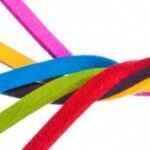 In other words, we investigate how researchers justify their position within the interdisciplinary field. Is it by presenting new views within the established interdisciplinary framework, or by relating their work to something researchers in the field are familiar with? 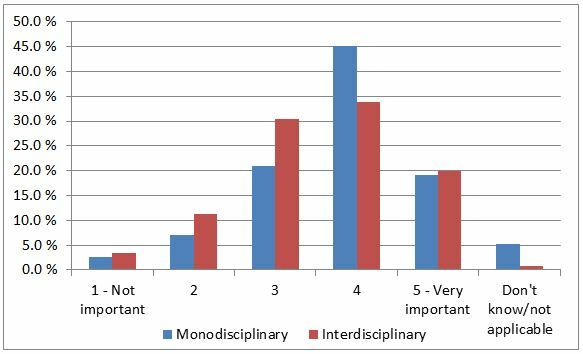 More respondents feel that there is a particular style one has to adhere to when publishing in mono- than inter-disciplinary journals. This implies that authors have more freedom of expression when publishing in interdisciplinary journals. However, does this freedom allow them to write more accessibly to wider audiences? Or, is this freedom necessary because to accommodate the various approaches used in the interdisciplinary field? Similarly to the style of writing, it appears that monodisicplinary journals have a more rigorous approach to the structure of the papers and require authors to follow it. This may be an outcome of authors trying to conform to the journal, or an explicit demand from journal editors. 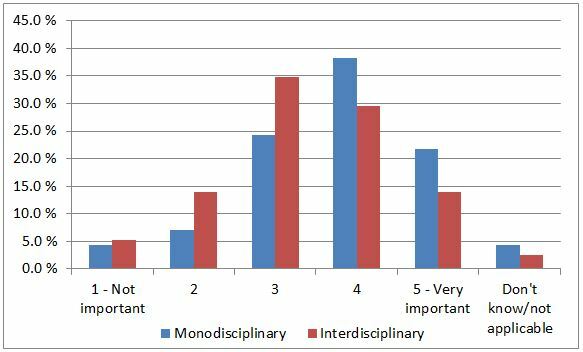 Whatever the reason, respondents certainly feel that is less the case with interdisciplinary journals. Surprisingly, explaining methodology in detail is equally important for both mono- and inter-disciplinary journal. We expected some differences based on two premises: 1) research methods in certain fields are well known and do not require detailed explanations; and 2) writing for wider audiences demands more explanations due to a lack of shared knowledge. 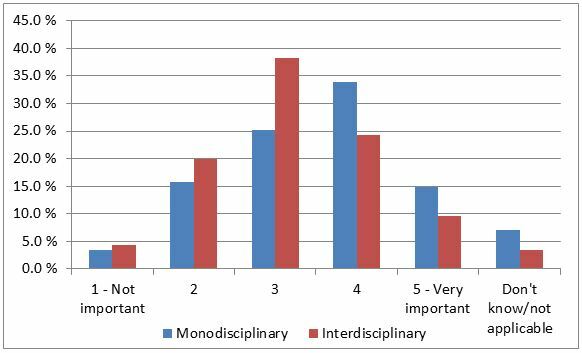 In the same vein, respondents find the detailed interpretation of results as equally important for both mono- and interdisciplinary journals. A degree of conformism seems to be dominant in monodisciplinary journals. 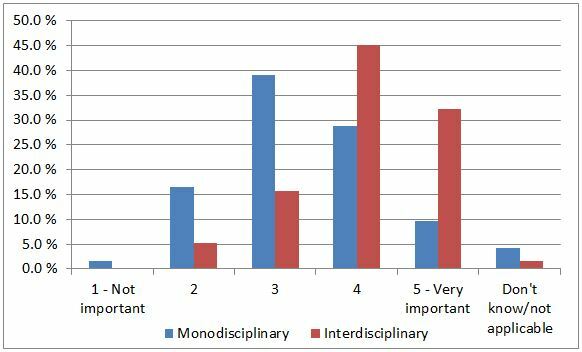 Respondents believe that it is more important to draw from the same body of literature, conform to write in a particular style and organise the papers in a particular way when writing for mono- rather than inter-disciplinary journals. In the second part, we will examine four other writing strategies and see if they reflect these findings. If you have a comment on any of these results, please leave a reply below or join the discussion via twitter.